The importance of standardization in an industry, cannot be under stated, without standards, we would not be having many of the stuffs we enjoy now. And it is the lack of standardization which is holding back Healthcare Informatics from exploding. Make no mistake, I am not saying that healthcare informatics lack in standards, no it does not. But the process of implementation and educating the industry on what needs to be implemented and complied with is what is lacking. Take HISA (Health informatics Service Architecture) for example, its a worldwide ISO standard, (ISO 12967), its a great standard, it details out the description, planning and development of new health information systems architecture; the integration of existing electronic health systems, both intra- and inter-organizationally; using architecture that integrates common data and business logic into middleware; which is then made available throughout whole information systems. focusing on medical records, hospital information systems, EHR and EMR, integration or upgrading. You have cash in Bank A. Bank A has been your preffered bank for many years. One day when you were traveling out of town, you ran out of cash and had to take cash out, Bank’s A ATM machine was not available. What do you do? Naturally you would look for another bank’s ATM, in this case Bank B and take out your cash, for a small nominal fee. Consider yourself applying for a bank loan for a property purchase. The bank which you are applying to, will be able to access a centralized repository where all current loan, payment history, current financial health of the applicant, and all other financial information of the applicant is listed, a summary of all bank’ data. With such a information, the bank is able to review and decide if the applicant is eligible to get the loan. 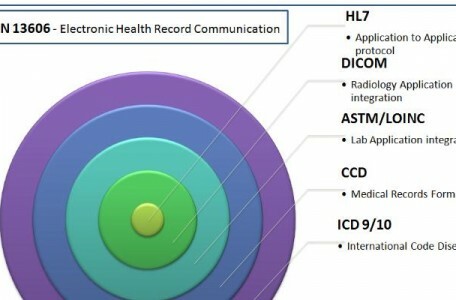 Consider both the scenarios above to be applied patient’s healthcare record, in this case, electronic healthcare record (EHR). 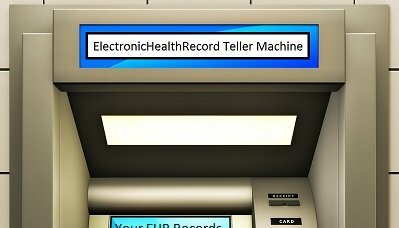 (EHR Teller Machine), you simply go to this machine, pay a nominal fee and print all your medical records needed and pass it to doctor in Hospital B. Consider yourself applying for a life insurance policy. Of course you will be sent for a medical examination. But on top of this, with the “ETM central Network of data”, where all records from across all health institutions are available for the insurance companies to view and summarize, and further decide to approve your insurance application or not. able to access the medical records seamlessly. Continue to hope for pure 100% App to App medical records integration is a lengthy process. Imagine the jump from 2G telco networks to 3G, we had 2.5G, or better known as GPRS technology. (Which exsits till now). Consider this ETM in the similiar way. Next article in this series will include the technical view point and feasibility of getting this done – coming soon.